My brother’s girlfriend picked this up for me the other day, they are very similar to the Icing’s Magnetix that I reviewed the other day (here) that I love, but they have different colors available such as a shimmer silver instead of dark grey, a light pink instead of a red exc. They have the same type of bottle and magnets and the affordable price. 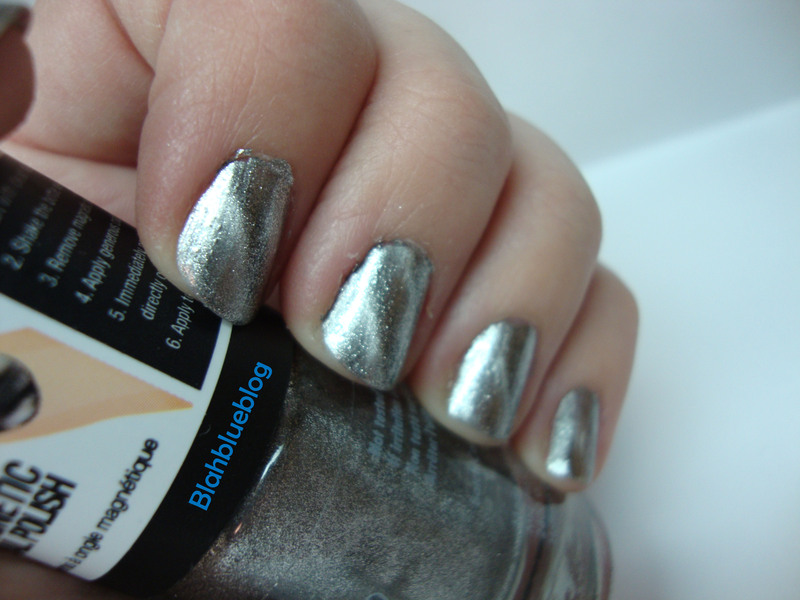 My silver polish had a thick consistency but it applied well. With this magnetic polish I was able to apply a single coat of polish to my nail then quickly hold the magnet over it to get the results usually seen with two coats of my grey polish. I highly recommend these magnetic polishes if you are after a shimmer silver magnetic polish.